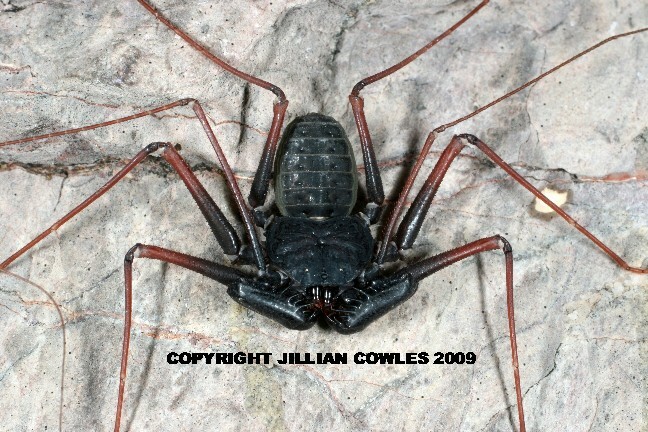 This is a photo of a wonderful arachnid known as a tailless whipscorpion. I am fortunate to be able to provide pics of this uncommon Arizona arachnid courtesy of Jillian Cowles. Unless otherwise noted, photographs by Rich Ayrey, do not reproduce without the written permission of the photographer. This Arizona Scorpion site copyright Rich Ayrey 2009. This Arizona Scorpion page created 06/04/09.